​Barcelona may be heavily linked with unsettled Manchester United midfielder Paul Pogba, but the reigning La Liga champions are apparently more concerned about strengthening at left-back when the transfer window reopens in January. Pogba could cost Barça €225m if United get their way, a price that would make the Frenchman the most expensive player in history. It would also be an incredibly complicated deal that may not be possible to arrange and complete midway through the season. More pressing, according to Mundo Deportivo (MD), is a left-back to act as back-up to Jordi Alba following the summer sale of former understudy Lucas Digne to Everton. The report explains that it was thought 18-year-old Juan Miranda might emerge to take up the role, only for staff to realise that the talented teenager still needs more time to develop with Barça B before he is ready for the senior side. 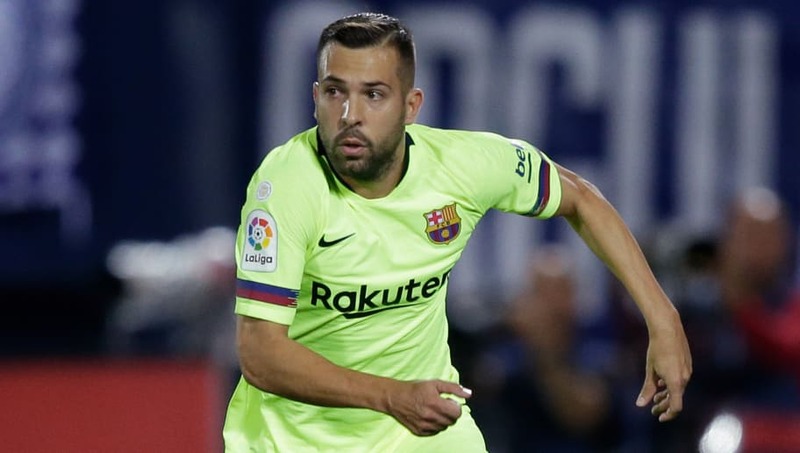 At present, veteran centre-back Thomas Vermaelen and versatile right-footed midfielder Sergi Roberto are the options that coach Ernesto Valverde has as cover for Alba. MD notes that there is no great budget to bring in an experienced left-back for what will be a relatively short-term role. As such, Atletico Madrid's Filipe Luis is put forward as one potential target, with the 33-year-old Brazilian due to be out of contract in June 2019. Barça have seemingly ruled out signing Boca Juniors youngster Leonardo Balerdi after gathering information about the possibilities of signing him.